The Xerox ConnectKey-enabled i-Series range translates office documents into 38 different languages. Digital printing solutions company Xerox has introduced the Xerox Easy Translator Service in SA. Developed in partnership with document recognition and linguistic software developer, Abbyy, the Xerox Easy Translator Service is a suite of cloud translation services available directly via any Conneckey 2.0-enabled device as well as via a Web portal. It is designed to easily translate office documents into 38 different languages, namely Portuguese, German, French and English. 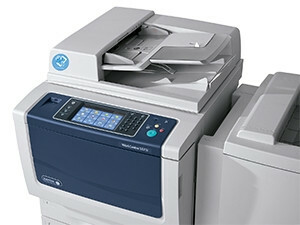 According to Xerox, the translation technology, integrated via a Web portal, is built into the 14 Xerox ConnectKey-enabled i-Series range of multi-function printers (MFP). It can be connected to mobile devices via iOS and Android as well as desktops. The app allows the user to scan the document and receive a print or digital version of the translated document, it can also send the documents to e-mail or alternatively save the document onto the cloud for use at a later stage. This service is integrated with Abbyy Optica Character Recognition (OCR) and capture technology, to maintain the original formatting of translated documents, says Xerox. Erica Marks, marketing manager of Xerox products at Bytes Document Solutions, says the ConnectKey translator range is targeted at embassies, companies which have a global footprint, hotels and other organisations that require translation services on a regular basis. She adds the printers represent a new approach to MFP features, which bring more convenience, productivity, security and cost efficiency to their clients' businesses. "From a productivity point of view, the translation service can add value to the company as this functionality allows translation to be done on the cloud as opposed to employing services from a translator which can be costly. "The documents we've tested have been more accurate than other services such as Google Translate. However, it's important to remember that a draft or general quality translation is provided which then allows the user to determine whether high-quality translation by a person is required," she notes. Xerox was looking beyond the hardware but also focused on the software that ran across a fleet of multifunction printers, she points out. Xerox and ABBYY developed the translation services that combine language translation software from ABBYY Language Solutions with the assistance of a group of professional language consultants and subject matter experts, Marks elaborates. Shane Spies, marketing product manager Office Systems Group at Bytes Document Solutions, says the user has to register on the Xerox translator Web site and log in from their MFP. "The user then selects the translator app icon on the machine, types in their e-mail address and password, and then selects the language of the current document. After that they select the language to be translated into." He explains that OCR takes place at device level and the info is sent to the cloud where the Xerox translation application is situated. It initially provides a draft translation prior to printing the final version. Should the draft require some tweaking or further editing, this is done through the express translation feature which runs a quick rendering of the document. "It takes approximately one minute for a single page to be translated after which it is printed out, e-mailed or saved onto the Xerox portal. "If there are images, the translated format of the document doesn't change; because it's a cloud service, the device needs constant Internet connection," advises Spies. Marks says digital trends in the marketplace have an impact on the type of technology integrated into the MFPs. "Through the adoption of cloud technology, many businesses are now using cloud source repositories, google docs and drop box, hence a lot of MFP applications are now cloud-based and allow users to store documents electronically and open up to other cloud services," she reveals.